Dwell has curated a selection of AHAlife's most stylish seats. Ranging from modern pouffes to a luminous bench, any of these perches are sure to be as comfortable as they are aesthetically pleasing—your backside will thank you. Fashioned with mortise and tenon joints, and buttressed with recycled, powder-coated steel, this Milwaukee-made, sustainably sourced walnut stool is destined to become a modern classic. 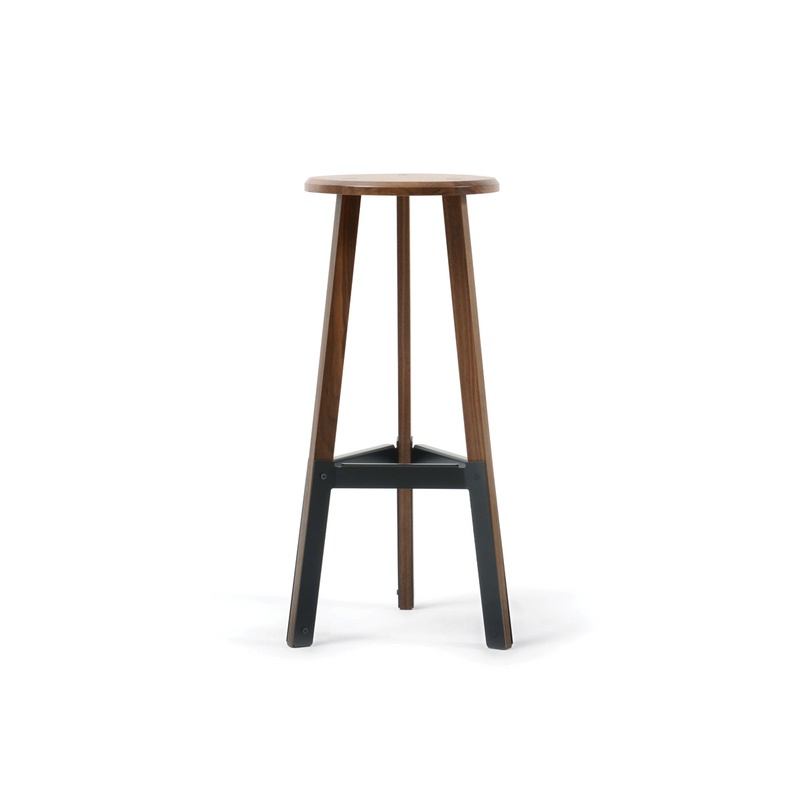 Poet Stool by Misewell. With details reminiscent of an industrial photography light box, this fabulous piece will wow party guests, sits two adults comfortably, and can be dimmed for a wide array of lighting options. Light Bench 52 by Pablo Designs. This indoor-outdoor version of the iconic butterfly chair has a washable white canvas seat and frame made from laminated bamboo and aluminum for durability. Long Take chair by Snow Peak. Riffing on the pin impression toy in which a shape is transferred through rigid metal, this seat’s interlocking walnut blocks conform to your body thanks to foam padding underneath. Block Chair by Sitskie Design Studio. Detroit-based designer Jack Craig heats and manipulates PVC water mains, giving the material new life as seating in an organic departure from the pipes’ “highly machined geometry." By Mondo Collection. The textured patchwork that tops the Mangas Pouffe by Patricia Urquiola was originally introduced as a rug. Organic-wool fibers are woven in a richly textured seat that blends artisan techniques with modern—and playful—functionality. This cozy cushion also comes in a color-accented version and both from Gandia Blasco. The geometric Flux Chair can be swiftly folded into an envelope shape for storage and transport, and just as quickly popped open for use. FromFlux Furniture. Designed to tuck neatly into the seat of the Flux chair, the Flux cushion provides an extra layer of comfort and customizability to this remarkable seating. This cushion and its counterpart are both from Flux Furniture. Christopher Roy’s layered, made-to-order “Why Not Bespoke” line combines a European dose of industrial design whimsy—he is British, after all—with traditional forms like the Windsor chair. Invoking a modern-Americana flair, see more here. Originally appeared in Announcing Dwell + AHAlife! This outdoor chair from designer Damian Velasquez is both striking and strikingly comfortable—you might not believe you're sitting on metal. The mesh design is sturdy, but has just enough give to conform to your body. The heat-dispersing, wind-resistant powder-coated stainless steel construction makes it a smart addition to your yard.